What can you see? What can you do? We have answers to all of these questions for you. How long are eTickets valid? Tickets are valid 1 year from date of purchase. Both printed and digital tickets on smart devices are accepted. I'm having trouble ordering tickets, how do online tickets work? After you complete the checkout process your tickets will be emailed to you. To ensure delivery, be sure to add tickets@marylandzoo.org to your address book or Safe Sender list. Tickets can be printed at home or shown on any mobile device at the Zoo’s Main Gate. The physical address you enter on your order must exactly match the address on your credit card billing statement for your purchase to be completed. If you do not receive your ticket confirmation after two hours, please call 410-396-7102 during business hours 8:30 am to 4:30 pm or you may pick up your tickets from a ticket booth at the Zoo’s front gate. What are the Zoo's attractions? Penguin Coast, the Zoo’s state-of-the-art, award-winning African penguin exhibit, houses over 70 penguins and lets you see them closer than ever. At Polar Bear Watch visitors can watch Anoki cavort in and out of the water from a Tundra Buggy®, like those used in the Arctic. 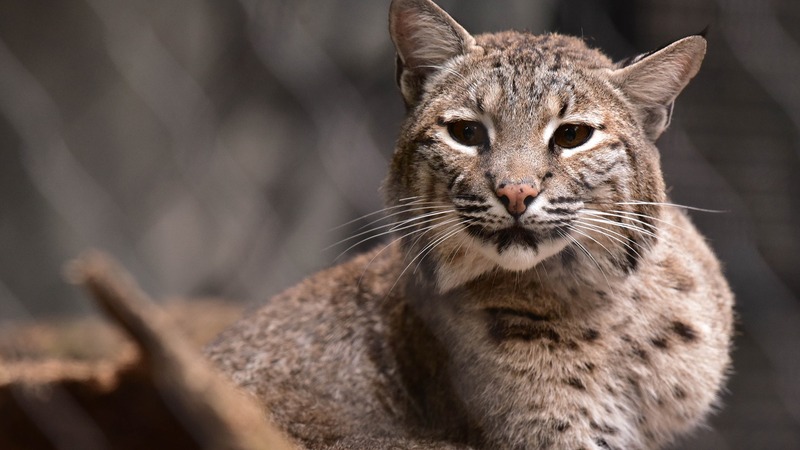 Visitors learn about animals in their own backyard, as well as those in more exotic locales, when they take a trek through the Maryland Wilderness, home to the award-winning Children’s Zoo, or embark on an African Journey. How many animals are at the Maryland Zoo? The Zoo’s animal collection encompasses more than 1,500 birds, mammals, amphibians and reptiles, representing nearly 200 species. Animals are displayed in natural settings replicating their native habitats. March – December OPEN from 10:00AM – 4:00PM. January and February Open Fridays, Saturdays, Sundays and Mondays from 10:00AM – 4:00PM, weather permitting. The Zoo is closed Thanksgiving Day and Christmas Day. Can I bring food and drinks to the Zoo? Yes, you are welcome to bring food and drinks for your visit. But, we do ask that you do not bring in glass containers or alcohol. Can I become a member of the Zoo? Yes. Your family can enjoy free, unlimited admission to The Maryland Zoo in Baltimore and more than 100 participating zoos and aquariums across the country. Zoo members also receive invitations to members-only events, free subscriptions to members-only publications and more! For details please visit our membership page. Do I get a discount if I bring a group? Yes. Our group sales department offers a discounted admission rate for your group of 15 or more. Click here for more information. Can I rent the zoo buildings for my event? Yes. The Mansion House, Waterfowl Lake Pavilion and Lakeside Pavilion are available for outside events. Click here for more information on renting the zoo. The Wild Things gift shop is located near the front entrance and features souvenirs and gifts for all ages. Visit our shop page to get other unique zoo gift ideas. Do schools get discount admission to visit the Zoo? Yes. A grant from the Maryland State Department of Education provides free admission for qualified Maryland school, daycare, Head Start and home school students. Out of state schools also receive a discount. Click here to see our education page, for details. Advance reservations are required. Does the Zoo bring animals to schools or community centers? Yes. The ZOOMobile (Outreach) brings educational, entertaining and interactive programs features live animals to schools, community centers, after school programs and events. Click here to see how The Zoo is making tracks to you. Does the Zoo offer summer camp for children? Yes. The Zoo offers popular summer camp programs for students in grades 2 through 12. Plus, we offer adult summer camp too! Registration information is available by clicking here. Unfortunately, no. The Zoo follows AZA guidelines, which is for the protection of the animals. Only Service Animals as defined by the Americans with Disabilities Act (ADA) are permitted with visitors with disabilities. The owner of the Service Animal must accompany the animal, must be in control of the animal, and the animal must not exhibit threatening behavior to the animal collection, guests or staff while on grounds. The Maryland Zoo, its staff and volunteers are not responsible for the care or supervision of a Service Animal. Please visit our Zoo Careers page, or consider a volunteer position! Further questions? Please contact Guest Relations at 443.552.5245.